It seems communities of 3D Printing maker marketplaces have been springing up everywhere. Pinshape was started last year and seems to be attracting designers with emphasis on gaming, comics, and similar worlds. That said, it seems to be giving sites like Thingiverse a run for their money. In their latest move, the Mountain View, CA based company has partnered with Amazon and will be selecting designs to sell directly on the giant eCommerce platform. The 3D Printed objects will be printed on-demand, bringing the highly touted manufacturing and supply chain future that much closer to reality. In conjunction with the marketing/distribution announcement, Pinshape also launched a design challenge specifically for 3D Printed toys. Any type of toy from action figures to games can be submitted to the challenge. While there is a panel of cool judges, a popularity contest will also be a component of the challenge. In Facebook fashion, entries can be “Liked” on the Pinshape website. 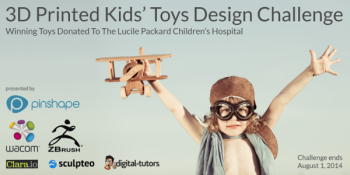 The more people an entry gets to “Like” their design, the better the chance of winning since the top 10% will be automatically entered in the finals. 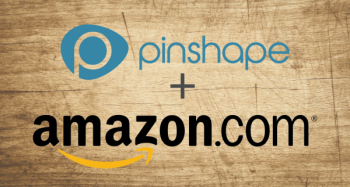 This is a great Crowdsourcing way to get more people onto the Pinshape site and a clever marketing promotion tool. Judging of designs that make it to the finals will be based on overall novelty, quality, innovation and ease of printing. Of course, the quality of the presentation will help as well. 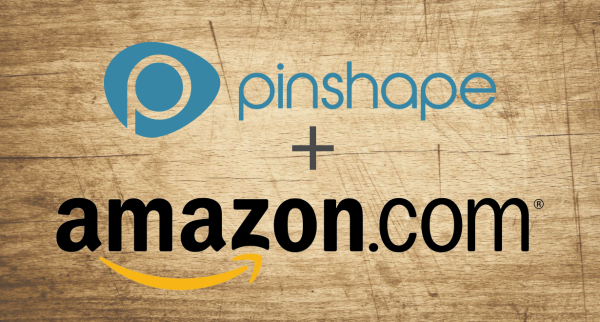 The winner will get prizes from Pinshape partners as well as the chance to have the winning toy sold on the Amazon marketplace. The challenge ends August 1, 2014 so get those designs in now to start your Likes campaign and build up those votes!